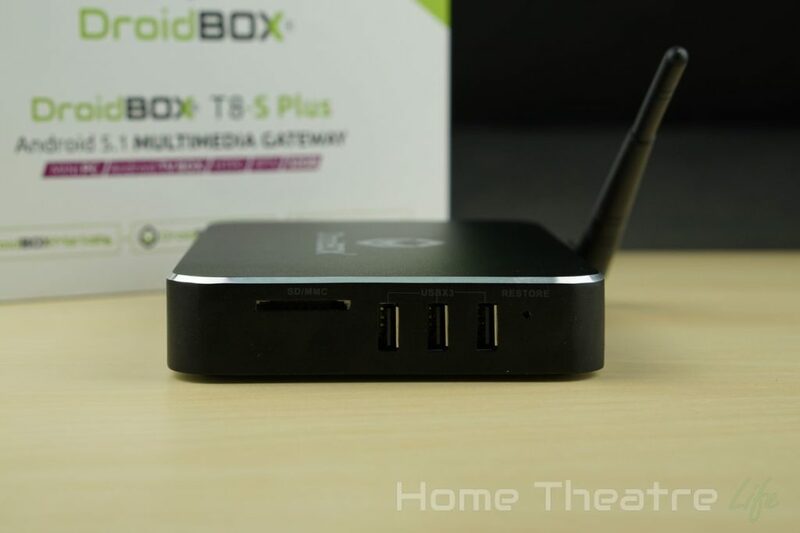 Home Reviews Android TV Box Reviews DroidBOX T8S-Plus Review: The Most User-Friendly Android Box? 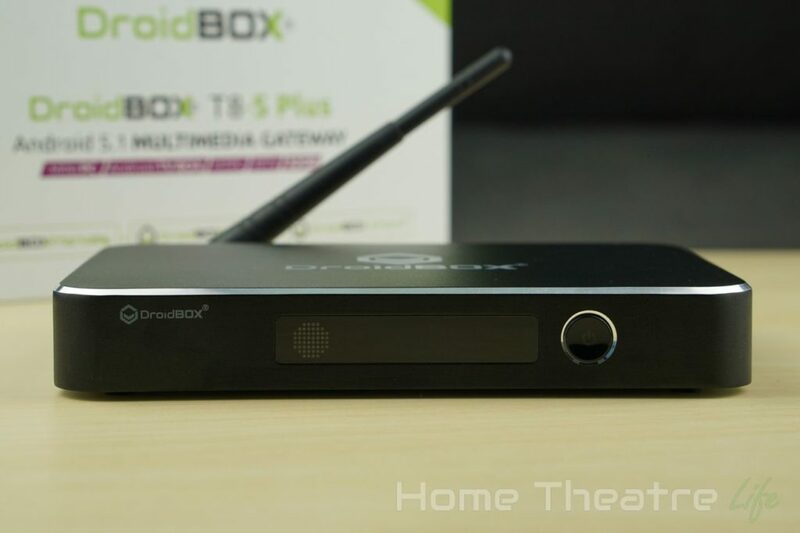 DroidBOX T8S-Plus Review: The Most User-Friendly Android Box? The DroidBOX T8-S Plus is an Android TV box powered by the Amlogic S812 and featuring 2GB of RAM, 32GB of onboard storage, wireless AC, Gigabit Ethernet, Bluetooth 4.0 and even a 2.5″ HDD slot. 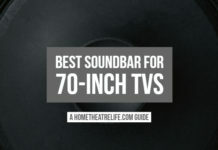 However, the company adds a number of features on top of the hardware, including a number of pre-installed apps, Apple Airplay support, the DroidBOX Share streaming and support for OpenELEC that turns the unit into a pure Kodi appliance. I want to say thanks to DroidBOX for sending me a sample to review. The company provided me their Gamer Edition bundle which comes with a 120GB SSD, the DroidBOX controller and VIP Plus airmouse. Now, you’re probably wondering why there’s been such a delay between my impressions article and my review. It turns out that the issue I experienced during my impressions article happened again and DroidBOX advised me that it was caused by a faulty SATA cable that affected a small number of their units. They sent me out an improved SATA cable which fixed the issue. I can’t fault DroidBOX’s customer service. DroidBOX also offers a Gamers Edition, which bundles the DroidBOX T8-S Plus with a 120GB SSD, VIP Plus Airmouse Remote and DroidBOX Play gamepad which I’ll be reviewing separately. The 120GB SSD in my unit was a Sandisk and DroidBOX have suggested they will be including branded SSDs in the bundle which is excellent. The DroidBOX T8-S Plus feels well-made, with it’s metal case. 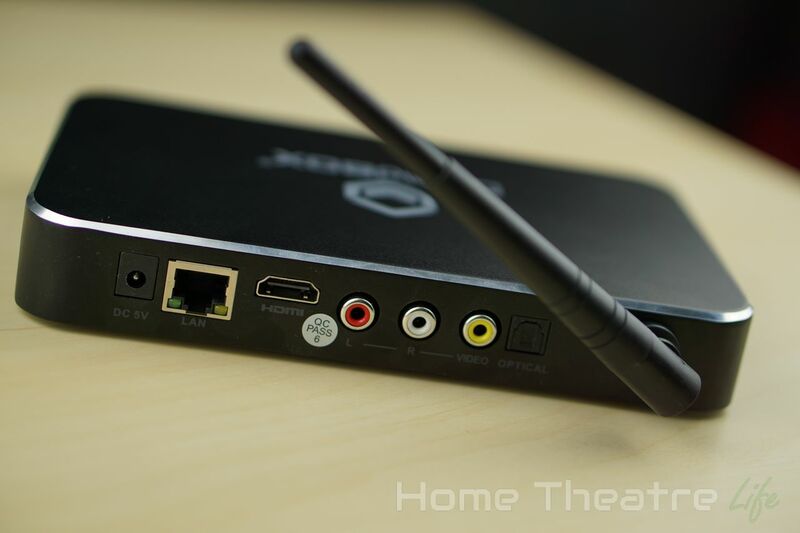 The actual unit looks very similar to devices like the Zidoo X9 or HiMedia H8. The black matte design features chamfered silver edges that looks great. The front of the unit houses an IR reciever, LED display and power button. Ports are located on the right and rear of the unit. The right side houses a fullsize SD card slot, 3 USB 2.0 ports and a reset button. The rear of the unit has the WiFi antenna, DC In, Ethernet, HDMI, Composite ports and optical audio. The company tell me that the composite ports are not supported however. The 2.5″ hard drive tray is located underneath the unit and is secured with two screws, with the actual hard drive mounted to the removable plate with 4 screws. 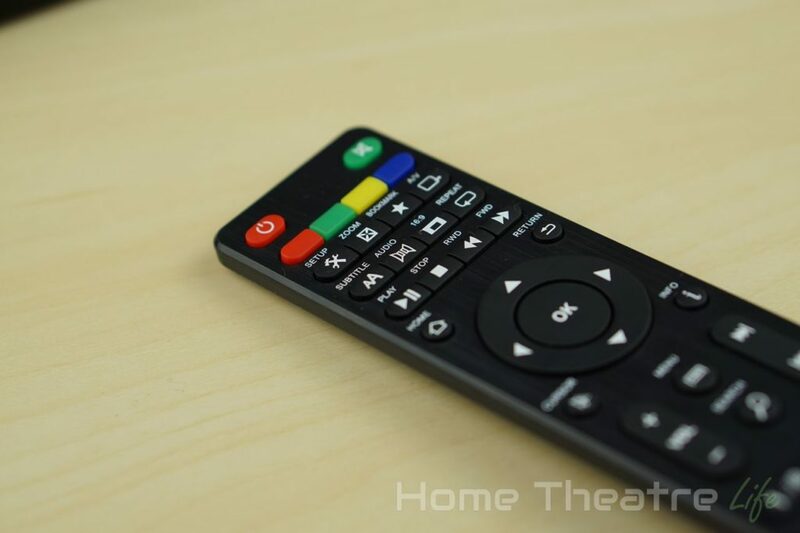 The included remote is fairly comprehensive, with an impressive set of multimedia controls (including buttons for subtitles and audio amongst others) in addition to Android functions and a mouse mode. The buttons are “clicky” so can be a little loud at times but overall I was pretty happy with the remote. The unit is powered up via the power button. A cold boot takes around 40 seconds with a mouse and keyboard connected. 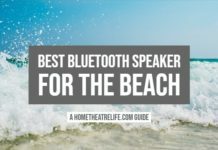 Unfortunately, there’s no standby mode so you’ll need to keep the unit on powered on all the time if you want it to always be available. You can power up the unit using the included IR remote or the VIP Plus airmouse however. 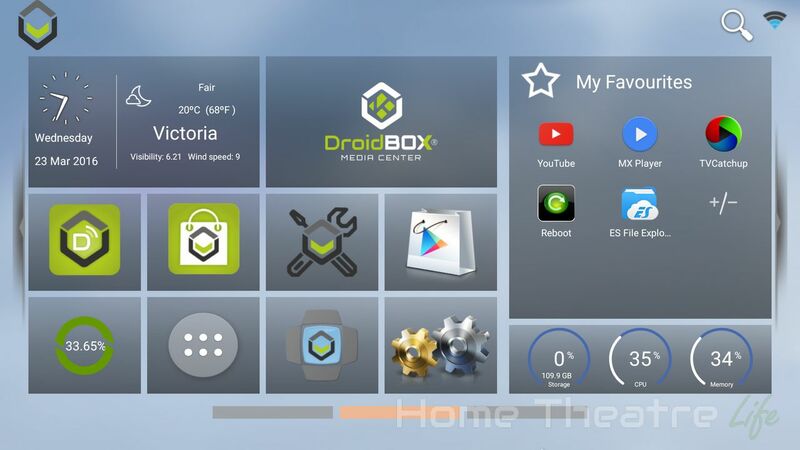 The DroidBOX T8-S Plus comes with a TV friendly launcher that reminds me that’s similar to the one seen on Probox’s devices. It uses square tiles that act solely as app shortcuts. 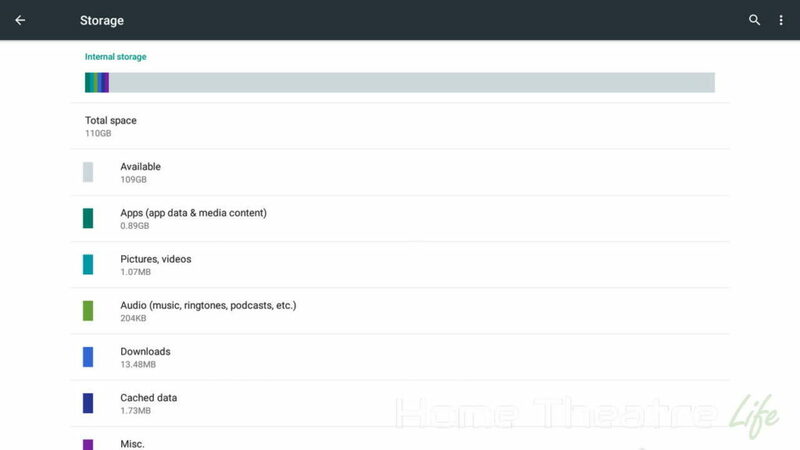 There’s also a “My Favourites” panel that allows you to save a list of your favourite apps. Swiping over to the right reveals another two pages that you can add your favorite apps into. The DroidBOX T8-S Plus has a really cool feature that lets you use hard drives installed in the 2.5″ bay as internal storage. This means that you can install apps on it in addition to other multimedia. With games and apps growing in side, it’s great to be able to be able to add as much space as you need. 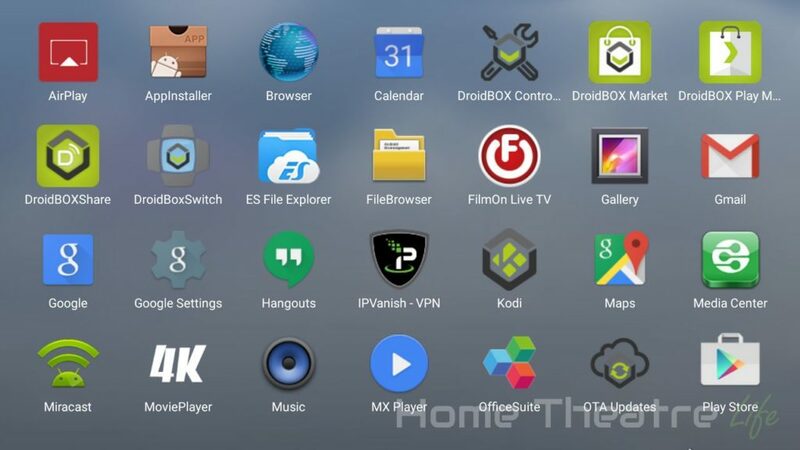 The Droidbox T8-S Plus comes with a number of pre-installed apps including FilmON Live TV, Skype, IPVanish and MX Player. 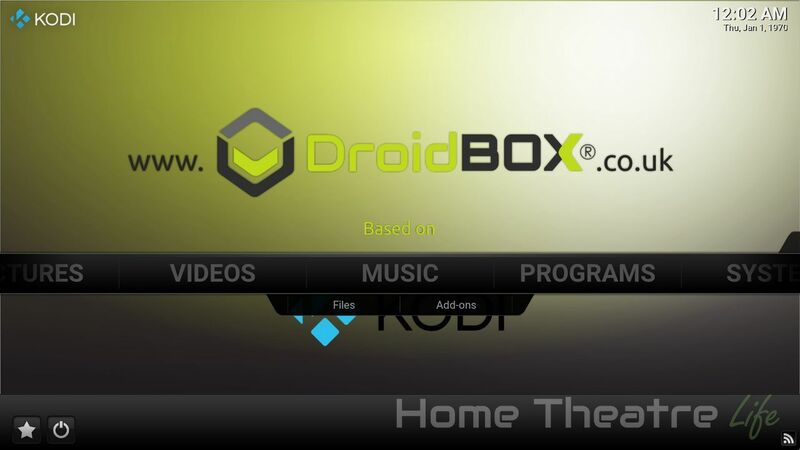 Droidbox have also packaged their own apps including Control Centre (for getting help and fixing issues), Market (DroidBOX’s app store), DroidBOX Play Market (a dedicated store for games), DroidBOX Share for streaming media, DroidBOX Switch for switching to OpenELEC and their customised version of Kodi called DroidBOX Media Center. That said, I feel that the launcher feels a little dated compared to some of those released by companies such as Zidoo and Himedia, with limited animations. Of course, it can always be changed in a future firmware update. I really liked that DroidBOX have included a helper app that allows you to fix common issues automatically. It makes things so much easier to use. 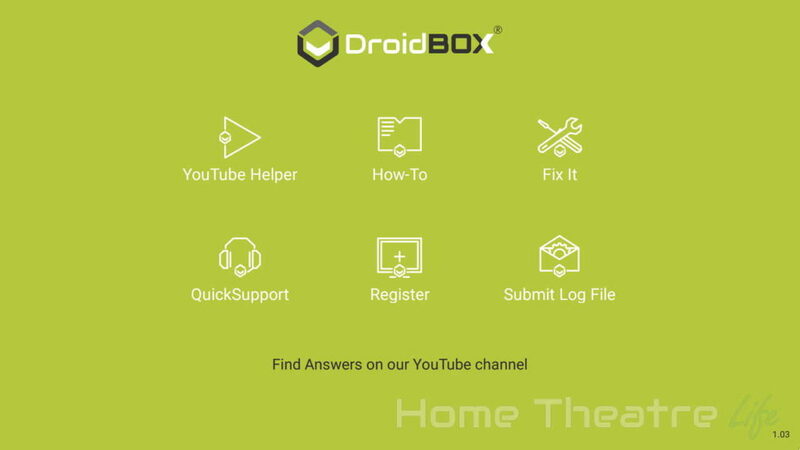 There’s links to guides on their YouTube channel, scripts for fixing issues or backing up your device and links to Quicksupport which leverages TeamViewer to allow the DroidBOX team to offer remote assistance. 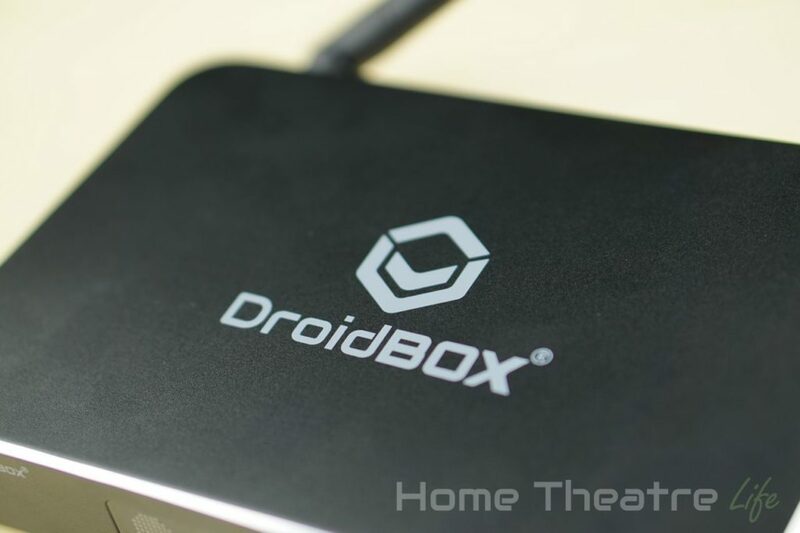 It’s an impressive package and makes the DroidBOX the most user-friendly Android device I’ve reviewed. OTA updates are supported, with the company regularly releasing firmware updates that fix bugs and add features. Since I’ve had the box, the company has already released at least two new firmware updates adding features and fixing bugs. 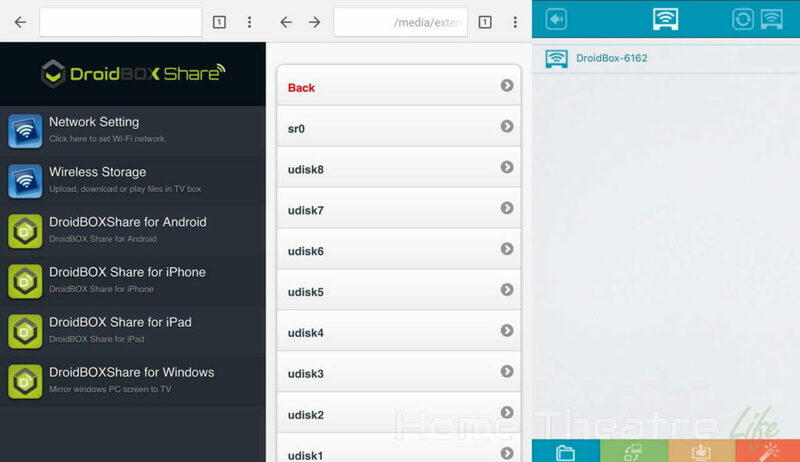 DroidBOX Share is DroidBOX’s sharing software that allows you to stream content to and from your smartphone to the DroidBOX. After navigating to the IP address displayed, you can download the DroidBOX Share app (available for Android/iOS/Windows). 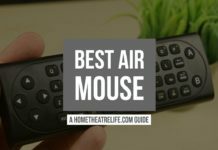 The app’s got a heap of functionality, including the ability to stream media to and from your smartphone, use your phone as a remote or airmouse. I found it worked well. OpenELEC is also pre-installed. 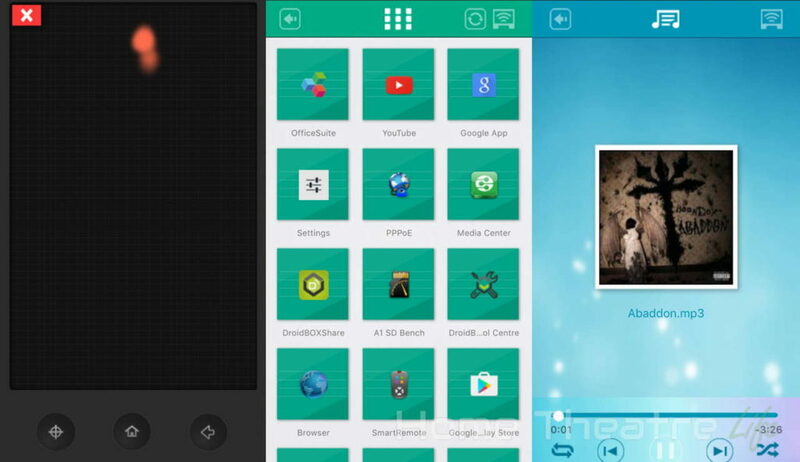 A quick click on the DroidBOX Switch app in Android automatically boots the box into OpenELEC. If you’ve used OpenELEC before you know what to expect: an appliance-like experience based around Kodi. Everything worked perfectly in OpenELEC and it was a really pleasant experience. 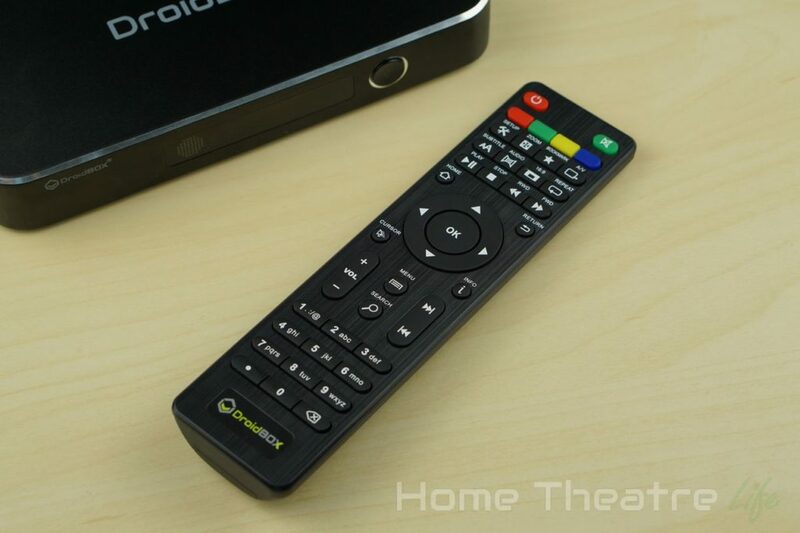 DroidBOX have also customised OpenELEC, adding scripts to install DroidBOX Cloud to enhance the unit’s capabilities. 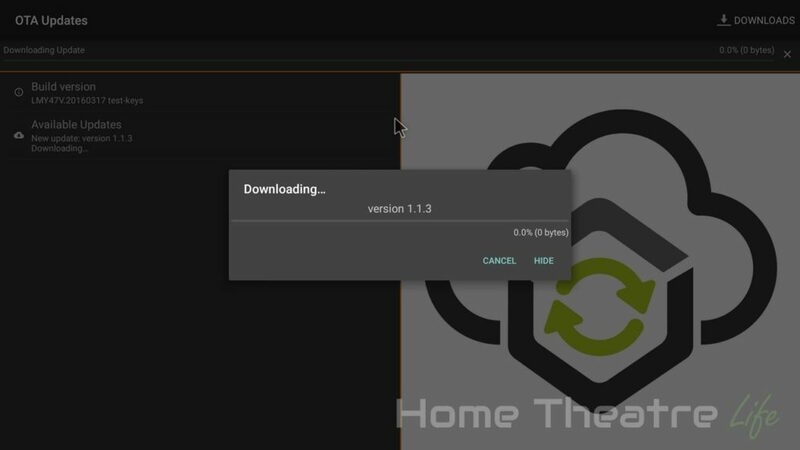 DroidBOX Media Center is based on Kodi 16.0, with a few company-specific tweaks such as inclusion of the DroidBOX Repository, and a rather unattractive wallpaper. A quick multimedia test in DroidBOX Media Center was promising. 1080p24 H.264 and H.265 content played back fine. Automatic framerate switching also works after being enabled in Settings which is great, as few Android boxes actually support ot. Performance was identical whether I was running Android or OpenELEC, handling pretty much everything I threw at it. Automatic framerate switching is supported inside Kodi once it’s enabled in Kodi’s settings. 23.976FPS content appeared to play back fine without any noticeable judder. Dolby Digital 5.1 passthrough via HDMI worked fine. AirPlay, Miracast and Google Cast. AirPlay worked perfectly on my iPhone 6 running iOS9. AirPlay Music, AirPlay Video and AirPlay Mirroring functioned as expected. Miracast worked with my Samsung Galaxy S7 and I was able to mirror my screen onto the DroidBOX. Google Cast also worked via YouTube, though other services such as Netflix aren’t supported. The DroidBOX T8S-Plus’ Amlogic S812 has a fairly powerful GPU so gaming performance was solid as expected. Jetpack Joyride was silky smooth whilst Beach Buggy Racing was great on maximum settings. 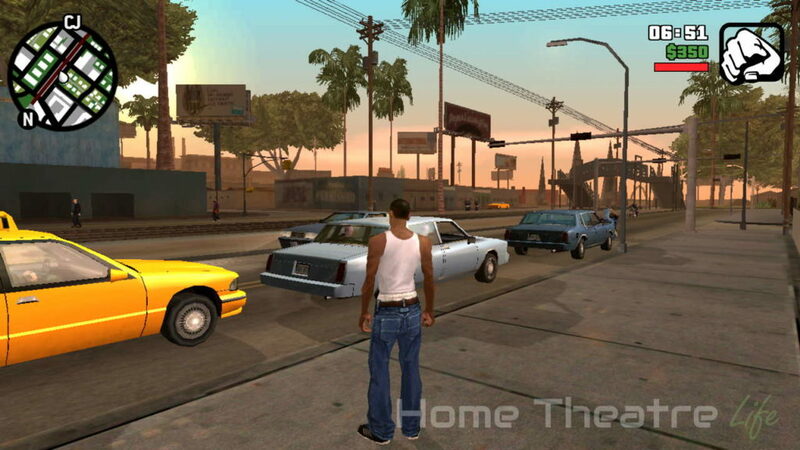 Even titles such as GTA San Andreas ran well when maxed out. I did get a some slowdown when maxing out Riptide GP2 however, but this was occasional and the game remained very playable. I didn’t have any issues hooking up my DroidBOX Play gamepad via Bluetooth to play the various games I tested. My Gamesir G3 also worked via Bluetooth. Sixaxis Compatibility Checker reported the DroidBOX T8-S Plus as compatible too. Wireless performance was respectable on the DroidBOX T8-S Plus, with upload and download speeds of 44.5Mbps and 43.2Mbps respectively on the 2.4GHz band and 65.7Mbps and 82.7Mbps on the 5Ghz band. Wireless streaming was also good, streaming my 1080p and 4K H.264 samples from my NFS share without any noticeable buffering. 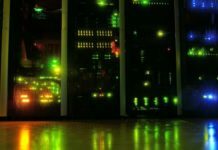 Ethernet performance was average, not reaching half of the Gigabit standard. Upload and download speeds were 445.4Mbps and 418.3Mbps respectively. 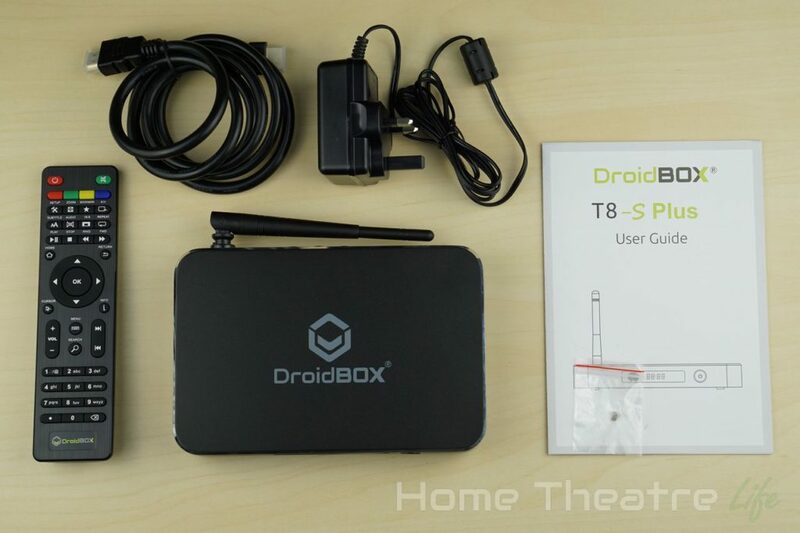 The DroidBOX T8S-Plus is well-built and thought out device. DroidBOX have created a device that performs well and the company really added to the hardware. Their value added software is great, particularly the helper app which is perfect for those not familiar with the inner workings of Android. 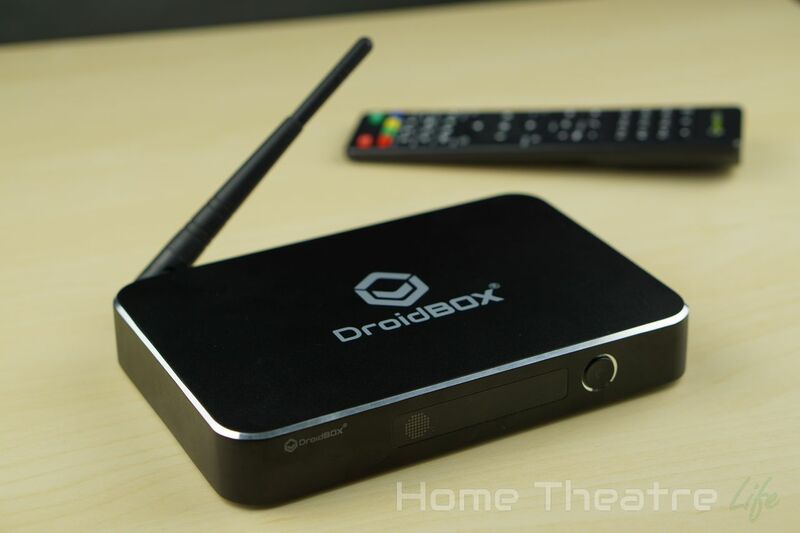 It really is the most user friendly Android box I’ve used to date. It’s not perfect but it’s a solid package. Add in the regular firmware updates, the ability to expand your storage via an SDD plus the other inclusions make the DroidBOX T8-S Plus a winner. 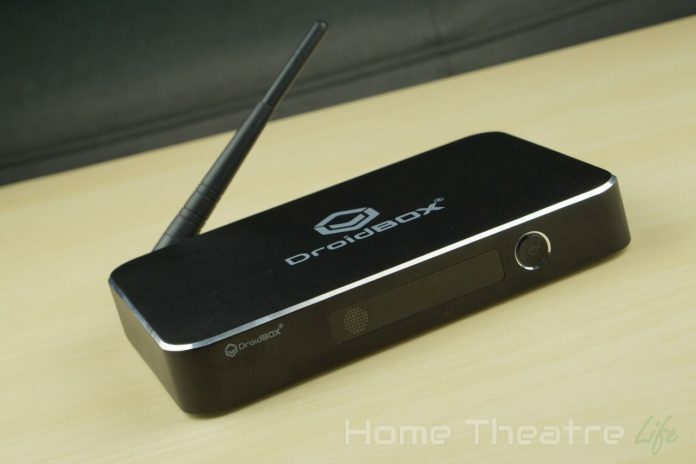 You can purchase the DroidBOX from the company directly or via Amazon. 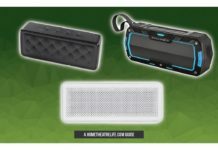 If you’re wanting an all-in-one solution, I’d fork out for the Gamer’s Edition which packages the DroidBOX T8-S Plus with a 120GB SSD, DroidBOX Play gamepad and the DroidBOX VIP Plus Mini Keyboard which is great value for the extra cash. 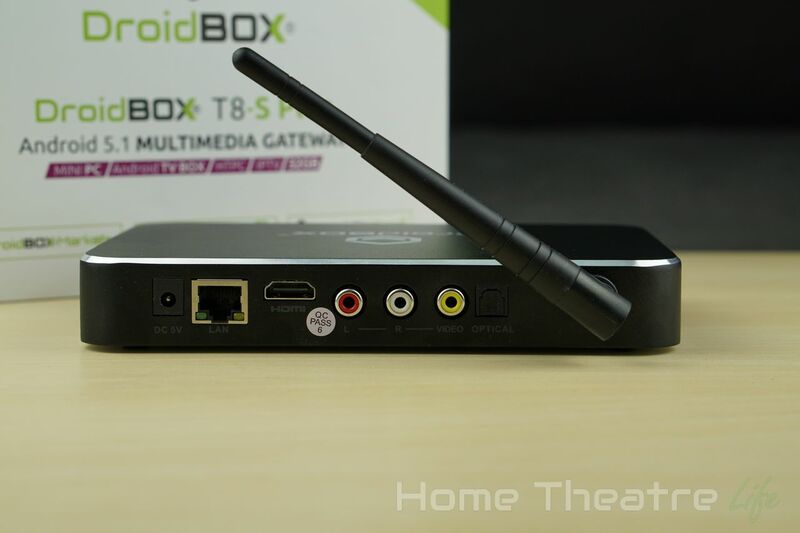 A solid unit with plenty of value-added software makes the DroidBOX T8-S Plus a winner.